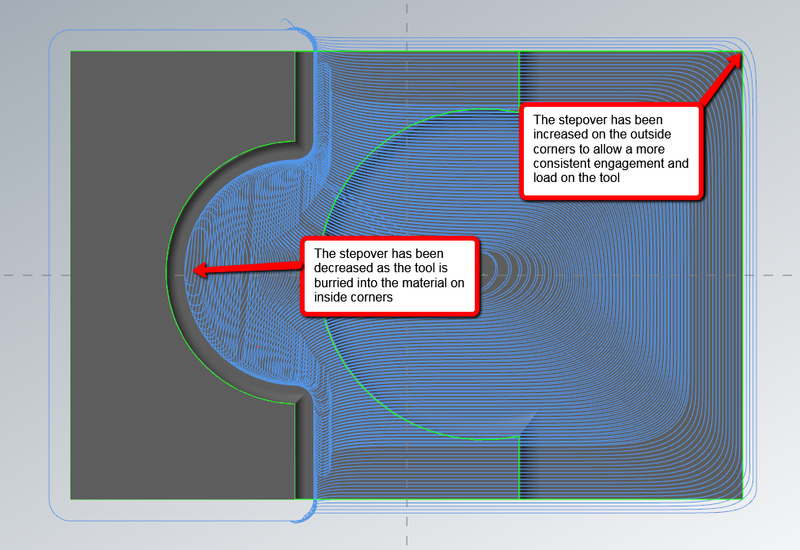 When backplotting or verifying a high speed dynamic toolpath, one may notice that the step-over appears to be inconsistent. The reason for this is that Mastercam takes the step-over value entered within the toolpath parameters as a guideline. The step-over produced looks at this guideline and takes into account the tool’s engagement into the material. By taking the tool’s engagement into account, the step-over will increase on outside curves and will decrease on inside curves. This maintains a more constant chip load.